Forty years passed before I become fully conscious of this experience. My will to “return” had remained alive. If I was to come back, I needed to know exactly what had happened to me. I needed to know what had led to my obsession to be whole again and, in recent years, to help others benefit from the trauma I had survived. Since the day I slipped away, I have been at work, more unconsciously than not, to restore my integrity as a complete person. A supposedly routine medical procedure had forced me to confront the question, who am I?, far sooner than I was prepared to do so. 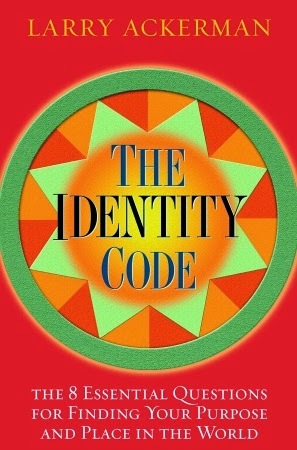 Reconnecting with my identity, and helping others do the same, has been the governing force in my life ever since. My identity journey has been a long, sometimes trying, often joyous, always adventuresome trek. It has been worth the trip, for I know who I am; I know my purpose: I am driven by the need to help people to see. To see the futility of some actions and the power of others. To see one’s potential as prescribed by their identity. To see the importance of living one’s difference. Here are some Tweet ideas from Larry. Simply finish each sentence and tweet.